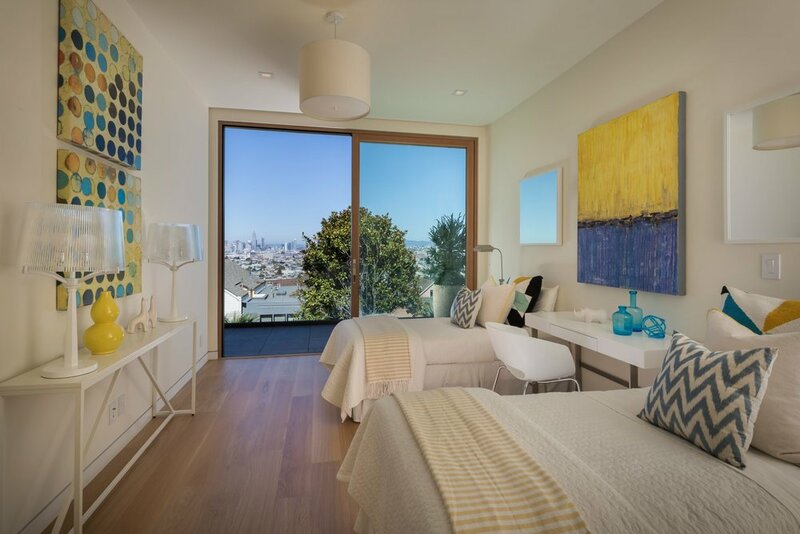 What's happening in Marin real estate. M MONTHLY REPORT AVAILABLE FOR SPECIFIED CITY/AREA/NEIGHBORHOOD. Q QUARTERLY REPORT AVAILABLE FOR SPECIFIED CITY/AREA/NEIGHBORHOOD. Cities, areas, neighborhoods or property types within a county that are not represented indicate there is not enough sold data to produce a monthly or quarterly report for that specific city. If you are interested in information for a specific city, area, neighborhood and/or property type, please contact a Coldwell Banker Independent Sales Associate. Median Sales Price | Price of the ""middle"" property sold -an equal number of sales were above and below this price. Number of Sales | Number of properties sold. Average Sales Price | Average sales price for all properties sold. Average Days on Market | Average days on market for all properties sold. Sale Price as a Percentage of Original Price | Average sale price of property as percentage of final list price. Properties for Sale | Number of properties listed for sale at the end of quarter. Sold Properties | Number of properties sold. Months Supply of Inventory | Properties for sale divided by number of properties sold. Units Listed | Number of properties listed for sale at the end of month. Units Sold | Number of properties sold. The statistics presented in the Quarterly Report are compiled based on figures and data generated by IDC global for the benefit of Coldwell Banker Residential Brokerage. Due to possible reporting inconsistencies, Days on Market (DOM), average prices and rates of appreciation should be used to analyze trends only. IDC global obtains its data from various sources and has not been, and will not be, verified by Coldwell Banker. All information should be independently reviewed and verified for accuracy. Due to MLS reporting methods and allowable reporting policy, this data is only informational and may not be completely accurate. Therefore, Coldwell Banker Residential Brokerage cannot and will not investigate or verify the accuracy of the data accuracy. Data maintained by the MLSs may not reflect all real estate activity in the market. Owned by NRT LLC. All data, including all measurements and calculations of area, is obtained from various sources and has not been, and will not be, verified by broker or MLS. All information should be independently reviewed and verified for accuracy. Properties may or may not be listed by the office/agent presenting the information. ©2017 Coldwell Banker. All Rights Reserved. Coldwell Banker® is a registered trademark licensed to Coldwell Banker Real Estate LLC. An Equal Opportunity Company and Equal Housing Opportunity. Each Coldwell Banker Residential Brokerage Office is Owned by a Subsidiary of NRT LLC. Real Estate Licensees affiliated with Coldwell Banker Residential Brokerage are Independent Contractor Sales Associates and are not employees of NRT LLC., Coldwell Banker Real Estate LLC or Coldwell Banker Residential Brokerage. CalBRE License #01908304. As widely anticipated, the Fed raised interest rates a quarter point today, the third increase this year. Three rate hikes are likely for 2018 as well, as interest rates creep back up after the 2007 collapse. Please be in touch if you'd like to attend a twilight tour this Wednesday from 5:30-7p! 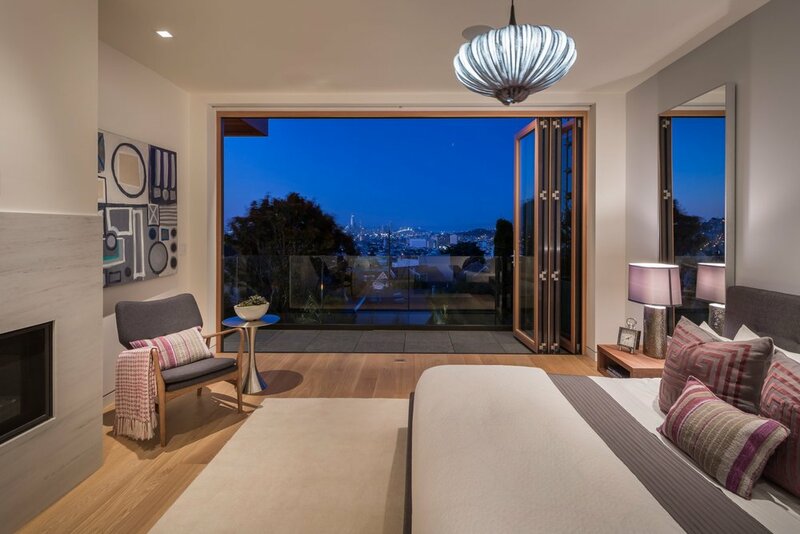 Four years in planning, design and build, this unrivaled, 5320 sq ft, modern, view manor sits on a double-lot atop Laidley Heights, the new preferred address of technology executives and game changers drawn to this above-it-all enclave featuring dramatic Downtown, Bay Bridge and Oakland Hills views. 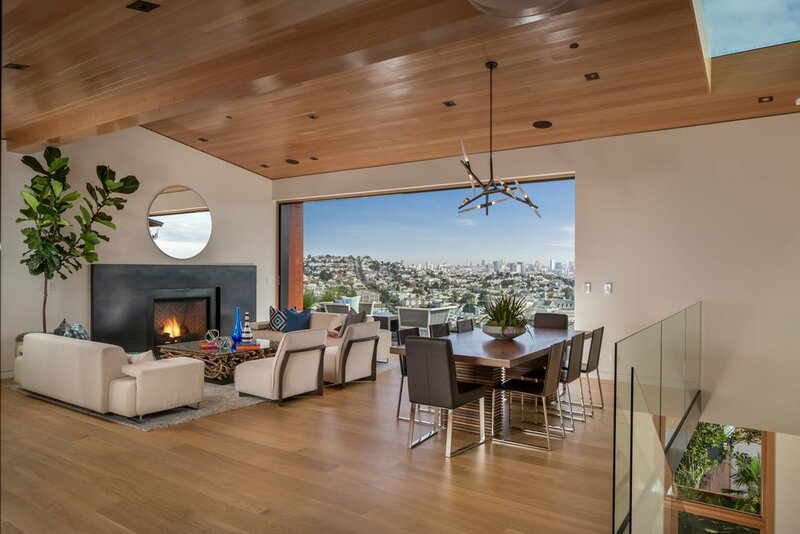 Laidley Manor boasts three sprawling levels of vast and ever-changing views – all secluded behind a seamless cedar fence along one of the most sought-after streets in San Francisco. This residence is inconspicuous from the road, offering little hint of the refuge beyond - an oasis of volume and light, hidden in plain sight. Beyond the discreet gateway and tranquil Japanese courtyard garden is the manor’s grand entry, a massive Mahogany door that pivots open a seamless seduction of views. The vast living-dining-kitchen space with “vanishing” wall of windows erases the line between indoors and out directing your gaze upon the can’t-tear-your-eyes-away view. Enriching this space is the thoughtful and elegant design of the chef’s kitchen, lofty Douglas fir ceilings, cherestory windows, custom steel-surround fireplace and angular dining room fixture crafted by a boutique design house. 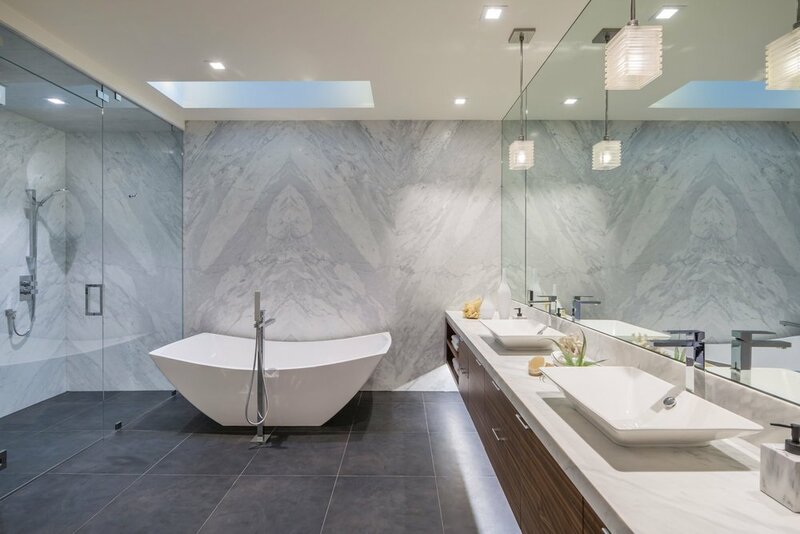 The view-facing master suite with large spa-like bath is complete with double-sized steam shower and dual soaking tub. 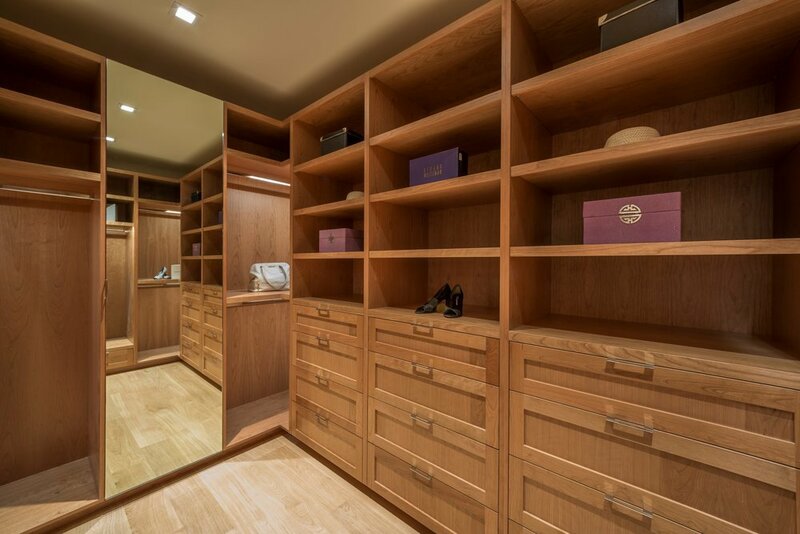 It also features private balcony, walk-in closet and fireplace. Two additional suites with views and balconies, exercise room and laundry complete this middle level. Dominating the garden level is the oversized recreation room with views complete with kitchenette, custom surround sound system, 1300 bottle wine cellar and powder room. 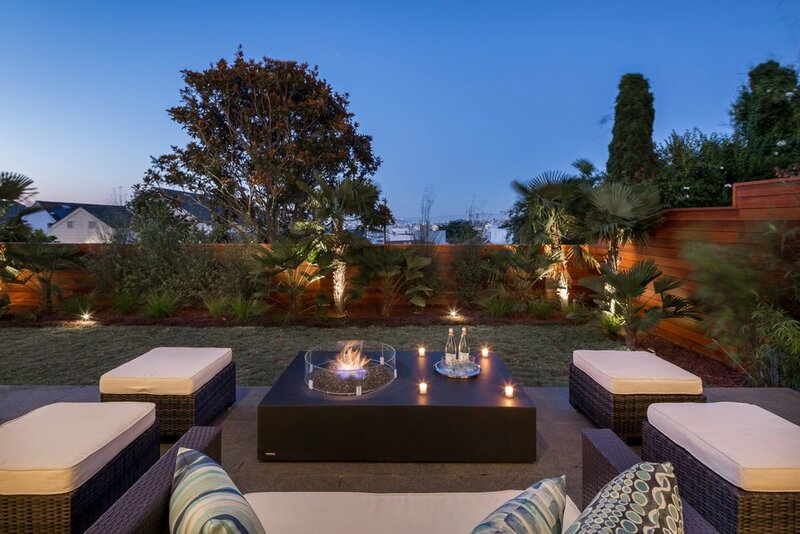 A guest suite with views and garden patio make for an all-inclusive garden level ready for entertainment. CA BRE#01824849 © todd mahoney no part of this website may be reproduced without express written consent.